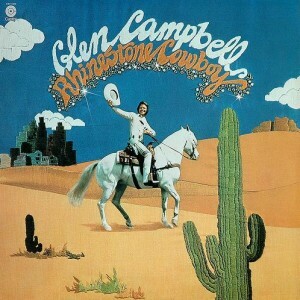 In the same territory as The Carpenters, or maybe even Neil Diamond, Glen Campbell’s Rhinestone Cowboy has that inimitable 1960s/70s pop country easy listening thing going in full effect, complete with songs that tend to portray a sort of weary, dejected dark side of the “good life”. Things like “Country Boy (You Got Your Feet in L.A.)” and “Marie” go to places that Harry Nilsson went (ever notice that Nilsson’s hit 1968 version of Fred Neil‘s “Everybody’s Talkin'” is basically a superior re-make of Campbell’s “Gentle on My Mind” from 1967? ), but with a little more straightforward professional reticence. What differs from some of Campbell’s earlier hits is that this is a little more bombastic and self-consciously grandiose in the backing arrangements. And that suits him perfectly. His voice, of course, is a dream. He may not be Karen Carpenter, but damn! It is kind of interesting, too, that he performs “My Girl,” almost like the flip side of Al Green recording Hank Williams, Willie Nelson and Roy Orbison songs. It is emblematic of how most of this album focuses on themes of coping with being thrust into new geographies, being faced with new burdens, and the like, and on trying to humbly overcome those challenges with hard work and effort, but maybe not being able to comprehend if that will work or how else to go about facing those challenges. Some people dismiss this as pure camp or kitsch, but really, a closer listen suggests that those might be coping mechanisms. And even more interesting, perhaps, is how this music sits right on the line between “material” concerns like having a job, providing for a family, etc. and “personal” concerns like heartbreak, anxiety, and other more existential topics. A rather average album. It’s only slightly better than Experimental Jet Set, Trash and No Star, which isn’t saying much. The Youth seem disinterested here. It all sounds like a concerted effort to sound “straight”, or at least “marketable”, by reigning in the songs to shorter lengths and having more well-defined beginning/middle/end song structures. But it all is too forced and self-referential. The first two tracks are nice though. The intriguing but often unsatisfying thing about Sonic Youth was that they evolved over their long existence, at a pace that is frustrating in hindsight. So many of their albums kept one foot in whatever style they had recently found success with while tentatively stepping into all sorts of other areas. This had the effect of feeling like they clung to what they had done before out of force of habit — or maybe for commercial reasons? — while taking their sweet time to sort out their next move. Their peaks, of which they had many, tended to appear on record when they locked into a particular style and stuck with it. So, their debut, then EVOL–Sister–Daydream Nation, then *maybe* Dirty, and then Murray Street, all of those locked into something more specific. 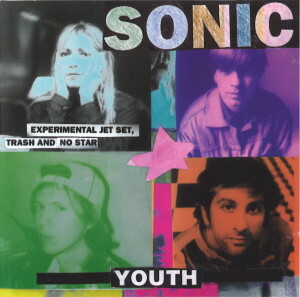 Some of the transitional material is good, but also doggedly varied in a way that prompts a listener looking back to say, “Ah, but they did that part better on the next album.” Yet, on the other hand, Sonic Youth were always trying new things, and so there always were new parts to consider. At least, there were new parts until Rather Ripped, which along with The Eternal had them stagnating if not looking backward for the first time in their career. Did I mention that I miss Jim O’Rourke already? If not, I am now. This was the band’s first album without him after his brief tenure in the band, and his creativity and good humor seems conspicuously absent. U.S. President Bill Clinton adopted a strategy called “triangulation” for his 1996 re-election campaign. It was a “third way” approach that, so it was claimed, merged elements of both sides of the Republican/Democrat mainstream political spectrum (an absurdly narrow spectrum, as it was) to synthesize them into a “triangulated” middle ground that was not beholden to either — when from the outside it looked like complete capitulation to the political right for narrow personal gain. In a way, this is a useful lens with which to look at Sonic Youth’s 1994 album Experimental Jet Set, Trash and No Star. The album too often seems calculated to leaven the band’s late-1980s noise rock sound with a steady backbeat and various rock styles of the day, if for no other reason that to ride the wave of popularity those other sounds enjoyed at the time. The band caters to all the trends in contemporary “alternative rock,” from “Winner’s Blues” a lo-fi indie blues in the mold of Sebadoh, to plenty of sleek grunge rock like Smashing Pumpkins, to cracked rock balladry like Hole. 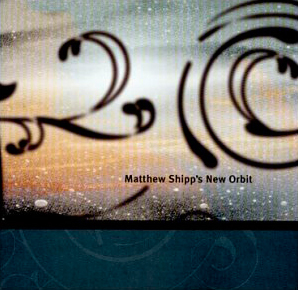 There are hints of the sort of mellow, moody noisy grooves the band would explore at length later in the decade. But those are completely subordinated to everything else. Some of the songs take a good idea and run it into the ground through repetition, stretching a small (yet inadequate) amount of good ideas to album length. Overall, the real problem is that the album is terribly uneven, and most of the second half is complete garbage. While sometimes considered Sonic Youth’s very worst album, this isn’t as entirely bad as that suggests, but it is an awkward jumble of pandering and timid experiments in new directions. 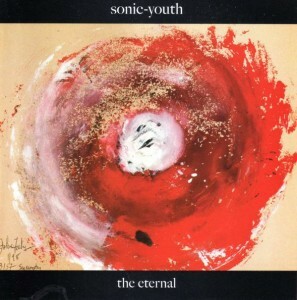 That was the thing with Sonic Youth, though. They adopted different styles over their long career. It just took them time to develop each one, and there were lulls during the transitions. Consider this such a lull. 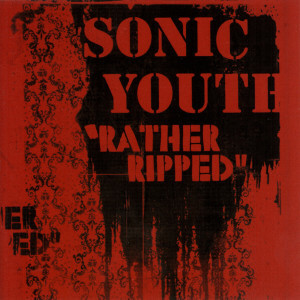 Sonic Youth goes back to their “old” sound here. The problem is, it sounds like a formula; they have made this album before, haven’t they? Wasn’t it called Dirty? This is better than the crass pandering of Rather Ripped, but it’s still insignificant.